Most of us have no problem putting chocolate in our faces. After all, fewer things in life are more delicious. But as it turns out, there might be some real advantages to putting chocolate on your face as a component in chocolate skincare products. In fact, there are several chocolate face mask benefits that are so terrific for skin health and anti-aging they may surprise you. 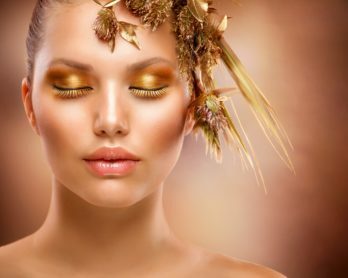 The skincare and beauty researchers at Cocoàge Cosmetics have certainly been taking note of all the positive developments regarding chocolate cosmetics in recent years. It’s why they recently launched their new line of chocolate-based cosmetics for glowing and beautiful skin. And a couple of the key offerings in that lineup are their 24K Gold Chocolate Drip Face and Body Mask, Dark Chocolate 24K Gold Peel Off Mask, and 24K Gold Chocolate Magnetic Mask. We spoke with them about why chocolate makes such an effective face mask ingredient and the 4 specific chocolate face mask benefits you’re going to love. Chocolate is rich in a powerful antioxidants known as flavonoids that enhance cellular repair and rejuvenation. And when they’re left in contact with the skin for a long period of time as part of a chocolate mask, the result for skin health can be dramatic. Two of these flavonoids in particular, theobromine and theophylline, have been shown to both tighten and lift the skin. This allows a chocolate mask to provide an effect to the face that is almost like a mini facelift. Chocolate’s anti-aging power is undeniable. All of these powerful components in chocolate masks means that the masks are particular effective in one major area, and that’s fighting wrinkles. Research shows that antioxidants can both prevent wrinkles from occurring and repair damage that leads to wrinkles over time. Chocolate also has a nourishing quality thanks to components such as vitamin A, potassium and omega-6 fatty acids. 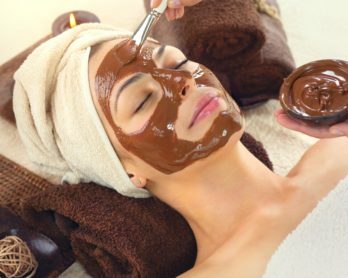 The end result is that chocolate can moisturize your skin as part of a mask, as well, making it especially luxurious for individuals with dry skin. What did you think about these 4 chocolate face mask benefits? 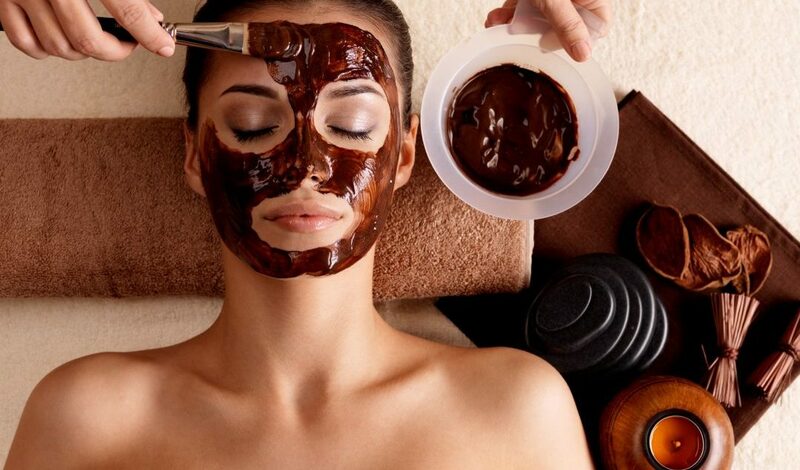 Are you ready to slather some delicious chocolate on your face for a high-caliber anti-aging treatment? 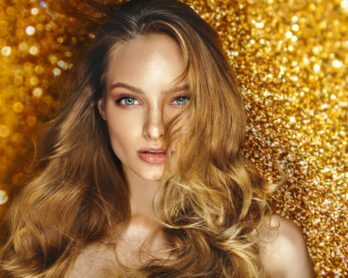 Chocolate Skincare was created by Cocoàge Cosmetics, redefining luxury skincare with an exquisite line of 24K gold and chocolate-based treatment products created to assist, revive, and rejuvenate tired-looking skin. Visit Cocoàge Cosmetics here and find Cocoàge Cosmetics reviews here.